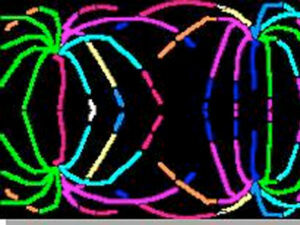 Crayons and tempera paint are all you need to make these colourful scratch art fireworks pictures. 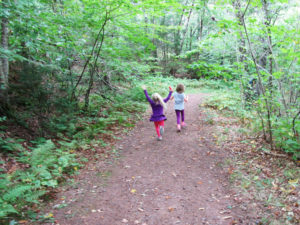 Here are a 110 screen-free activities kids can do this summer (in the backyard or the neighbourhood) with siblings, friends, cousins or solo. 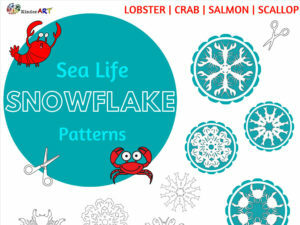 Free printable patterns for sea life snowflakes (lobster, salmon, scallop and crab). 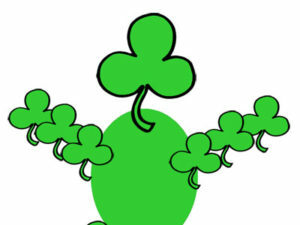 Create a figure using cut-out paper shamrock shapes. 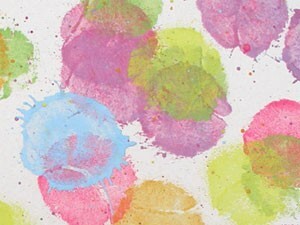 Make a colorful Easter Egg decoration out of shaving cream, paper and food coloring. 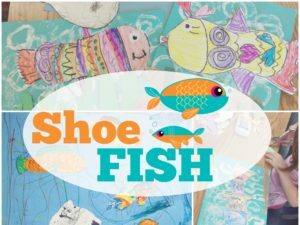 Students will learn about the African American inventor Jan Earnst Matzeliger as they make art using the impressions made by the soles of their shoes. 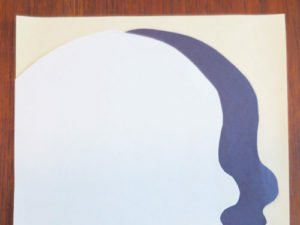 This is a fun, simple way to make paper masks. 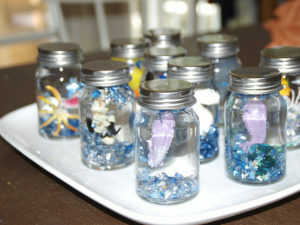 You can make snow globes using baby food jars, corn syrup, glitter and found objects. 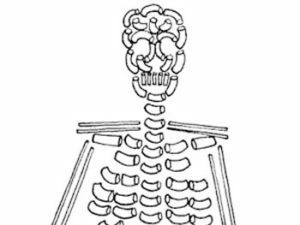 Students can create skeletons using spaghetti and other kinds of dried pasta. 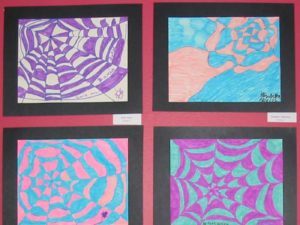 Students can follow step by step directions to create a spider web drawing. 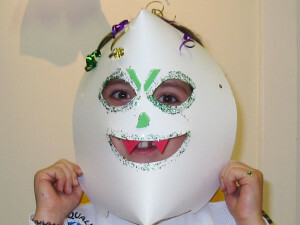 This is a terrific lesson plan for Halloween or any time of the year. 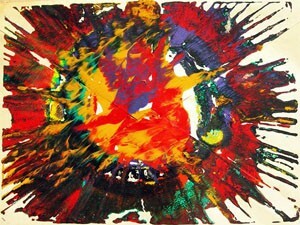 Students will create wild works of spin art using paint, paper and a salad spinner. 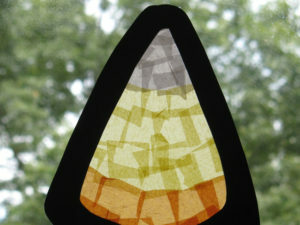 This cute little candy corn looks so pretty hanging in the window! 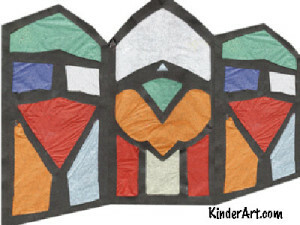 Make several to decorate your windows for Halloween. 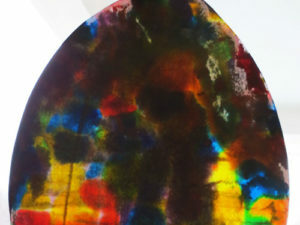 Students will create a small scale stained glass screen using paper. 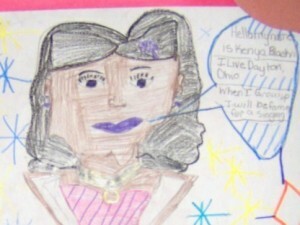 Students will create an narrative within the shape of a state (or province) using personal experience. 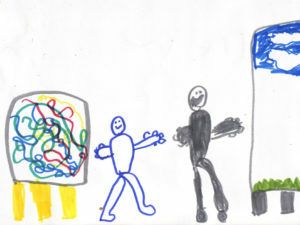 They will choose a state, review that state and draw a picture using the shape of the state as a template. 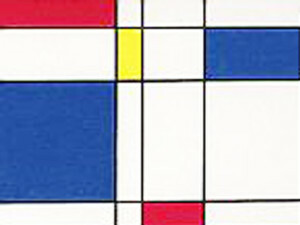 Learn how to make a painting in the style of artist Piet Mondrian, step-by-step. 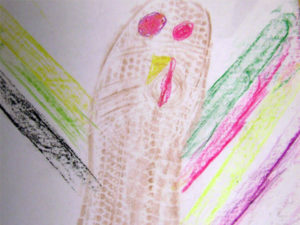 This is a form of relief printing which makes use of readily available styrofoam meat and vegetable trays. 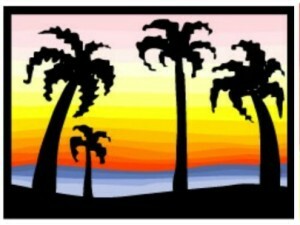 Kids can make sunset silhouettes using paint and black construction paper. 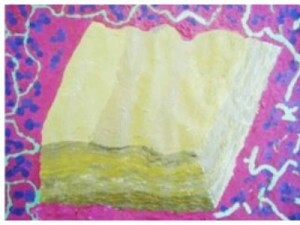 Students will learn about pop art as they create “sweet” paintings inspired by artist Wayne Thiebaud. 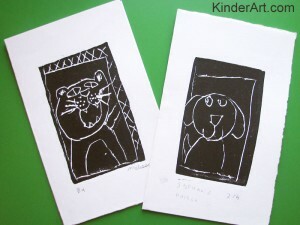 This is a great printmaking lessons for very active kids. 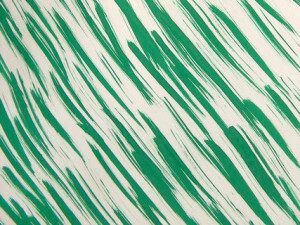 Tennis ball prints are best done outdoors in the warm weather. 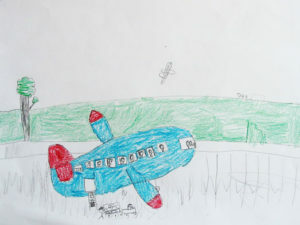 The object for this art project is for the students to see, touch, and understand how to draw, paint and produce textures on any art project. 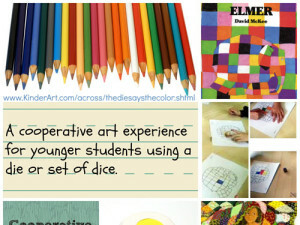 A wonderful cooperative art experience for younger students using a die or set of dice.